I have been involved in many facets of the arts throughout my life -- be it music, painting or ceramics. Growing up in a family that embraced music and art it was a natural step to studying art in college. After earning a MFA from Eastern Michigan University in painting I spent several years teaching at Henry Ford Community College and Eastern Michigan University. 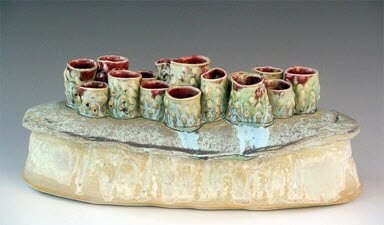 In 1996 I transferred my artistic energies from painting to clay and have never looked back. 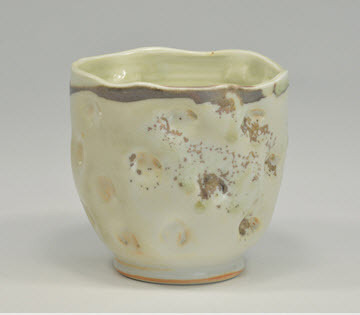 Several years ago I began to work with porcelain preferring the color, softness, fluidity and spontaneity of this medium. My work is fired to ^10 in a reduction environment where surface variations naturally occur. 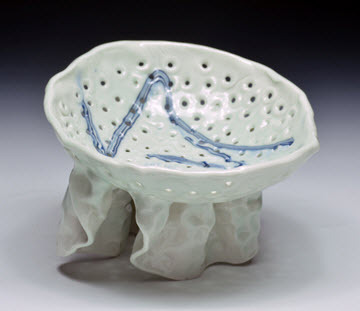 During 2000 and again in 2009 I traveled extensively in China, touring museums, kiln sites, ancient pottery villages, working dragon kilns and universities where contemporary artists were approaching porcelain in new and innovative ways. 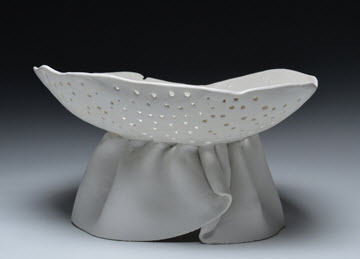 I attend clay workshops, and regional and national conferences where I continue to be impressed by the innovation and variety that comes from the ceramic community. 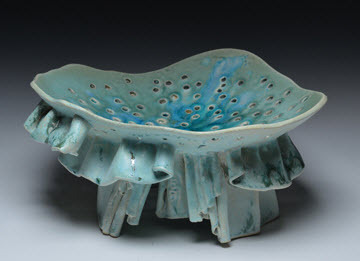 I joined the Village Potters Guild in 1999 where I participate in three group shows each year. Over the years at VPG I have been active in daily operations, teaching, board positions, firing our gas kiln and a variety of activities. I thoroughly enjoy the camaraderie of working in an environment with other clay lovers.